Friday Favorites is our new series where we explore some of our favorite places to play in and around the Great Lakes. 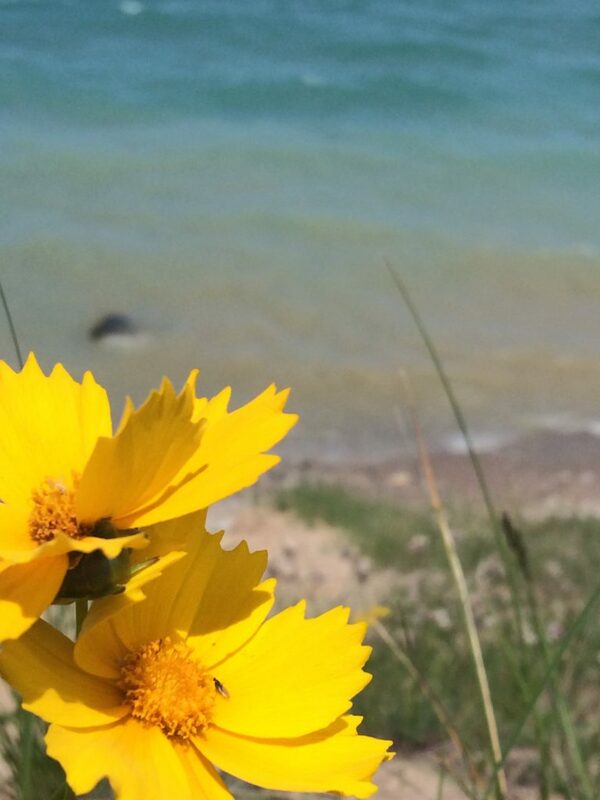 Traverse City residents might be rolling their eyes at the suggestion of Pyramid Point as one of my favorite places in the Traverse City area, but hear me out. This (not so) secret trail has been a staple during my time in northern Michigan, always one of the first places I take my friends and family who come to visit. Every time I turn off M22, I grin like a kid who finally caught the ice cream truck, so excited to show off this awesome lakeshore some of us get to call home. A favorite place doesn’t have to be the most secret, “locals only” spot that nobody else knows about. We all have those, where we go when we want to escape the craziness of summer festivals, need a quiet stroll without boisterous families, or just want to sit and watch the water roll in and out in peace. Pyramid Point is none of those things. It is, unless you go early or in the off season, consistently full of dogs, kids, and visitors. The 0.6 mile climb up from the parking lot is mellow enough that I have brought friends and family from all areas of my life up there. 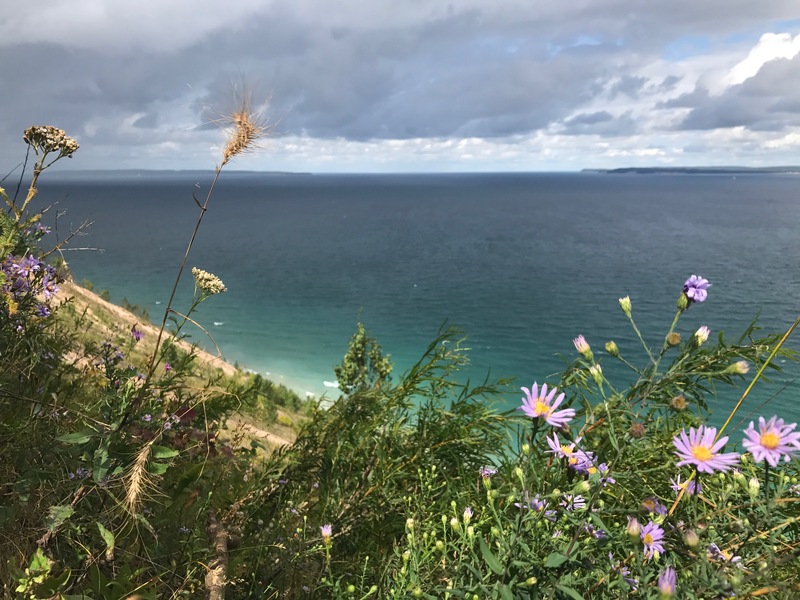 We have meandered up the path, stopped to chat with folks on the way, raced to see who could make it up first, identified wildflowers, snowshoed in the winter, and trail run laps on the longer loop before heading into Glen Arbor for pizza. Everyone’s face lights up when they first see the endless expanse of turquoise water. “Wait how is this not the ocean? ?” they demand, barely taking their eyes off the water to gauge my response. I usually shrug and point out the Manitou Islands, making a joke about lake sharks. Surrounded by kids snacking, dogs gulping water, and friends posing together for the perfect instagram, we wander across the dune face and down the trail for a bit of peace (and sandwiches). Last summer one of my best friends came to visit from New York. The weather had been rainy and freezing, but we were tired of being cooped up so we headed out to Pyramid Point. After booking it up the trail to get warm, we sat tucked into the dune, watching the sky change from gray to an ominous black. 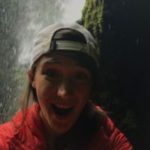 Huge raindrops and hail quickly made us question our choice, our conversation changing from Alaskan adventures to the current weather. After devouring every granola bar and all the hot coffee we’d brought, we raced back down the trail, laughing and shrieking all the way to the car like we used to when we were kids. Sharing these magical places with my friends and family reminds me of how lucky we are to live here. Hopefully this series inspires you to enjoy the public land and water we have in northern Michigan, and return to old favorites or check out somewhere new!